Home » Health » How to sleep better and faster. It might surprise you to know that one of the biggest problems in the first world is actually falling asleep. The hectic life we all bear affects our sleep cycles. So it is only natural for all of us to look for better sleep tips everywhere we can. It is important to state that there is no magic one-works-for-all quick fix. And that medicating to sleep in not a long-term solution. This said, we have collected the 8 best tips for a better sleep. Yes, it is true. In order to have a better sleep, you need to be active during the day. Our bodies are made to move, so if you have a sedentary job, make sure to move once you’re done! It doesn’t need to be a day in the gym, but a nice long walk after work will help you burn the energy! This better sleep tip can help many of those that are not so active. Tip 2: Bedtime routine is key! Keeping a bedtime routine is essentially one of the best tips for a better sleep. You need to train your body to wake up and go to bed at the same time every day. This is the reason why jet lag is such a big problem because our bodies are used to a time routine. Make sure to set an alarm to remind you to go to sleep at your scheduled time! Tip 3: Darkness is best. Our bodies are made to sleep at night. If you are forced to sleep during the day because of your schedule, make sure to darken the room as much as possible. Melatonin is released only when the surroundings are dark, so make sure to have some good curtains and blinds. Also, make sure to turn off any devices around you that may produce light at night. Similar to the previous better sleep tip, nowadays routines include devices that emit very strong light through their screens. This prevents the melatonin from being released and so it makes it difficult to sleep. Make sure to stop using your smartphone, tablet or computer at least 30 minutes before your bedtime. Instead, read a book to relax your mind and ease you into sleep. A nice coffee in the morning and a tea in the afternoon are totally alright. However, as you approach the evening, avoid taking any caffeinated drinks. This is either coffee, tea, or even sodas. Your body does not need caffeine anymore after a certain hour. And its intake will only prevent you from a good night sleep. Taking a bath every night is neither cheap on your water bills not environmentally friendly. However, a quick warm shower every night and a bath every now and then will do the trick! This is one of our editor’s favorite better sleep tips. Our body is made to feel relaxed in warm environments. Same thing, a cold shower in the morning will wake you right up! Big meals at night do not help to a good sleep, unfortunately. Always try to eat your dinner at least 2 hours before sleep. This way your stomach will be able to process the food in time before your sleep. Smaller and lighter meals are recommended for a good night sleep! An average human spends 1/3rd of his life sleeping, A wise man once said: “If you earn a bit of extra money then you should spend it on something that you do for a majority of your life which is sleeping”. 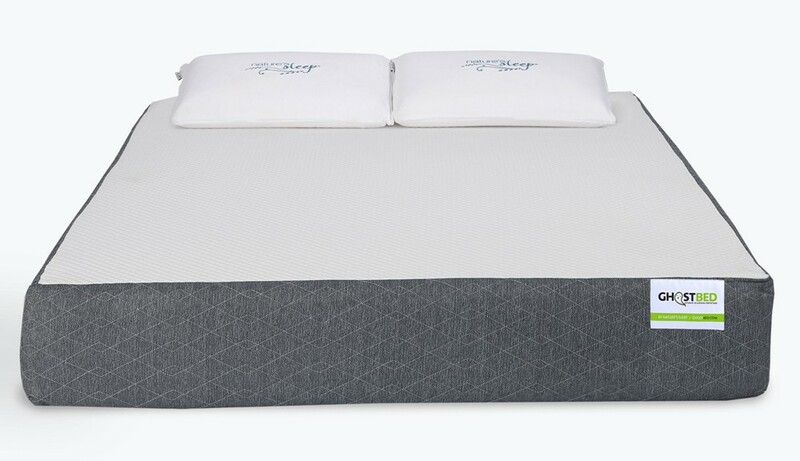 The better your body weight is distributed on the mattress, the better sleep you will get. Ideally, 8% weight should be of your head, 33% of shoulders, 44% of hips followed by 15% of legs. Try applying all these better sleep tips to your daily routine and you’ll sleep like a baby soon enough!